We were delighted that Fraser Campbell, our newly awarded Highlands and Islands Ambassador of the Year 2013, took time to chat to us last week on tourism in the region and his business, the Cobbs Group. Read on to find out what we discussed. We must say, all the talk of Cobbs cranachan cake left us feeling rather hungry! 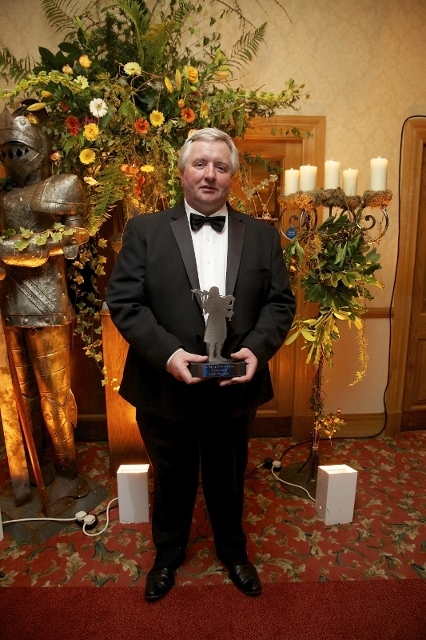 Congratulations on being HITA’s Highlands and Islands Ambassador of the Year for 2013. So, how does it feel to have been chosen by your peers in the region for this accolade? I was absolutely blown away when George Baxter SSE announced my name, so much so that I was in a state of shock when I went to the stage to collect the trophy and couldn’t gather my thoughts quick enough to make a more meaningful delivery than just a “thank you”. It was a great honour, of which, now that it has sunk, in I am very proud of. It has also been received extremely well by colleagues and friends within the industry – my Facebook page has never been busier! What most excites you about Highlands and Islands Tourism? This is my profession and I have been involved in it since I was a boy through my family. I studied this game since I left school and have experienced all aspects of hospitality, from washing dishes to owning my own hotel and running this company (Cobbs). I am from the Highlands and I want this area to be the best and the area where people want to return to, not just for the scenery, but also the friendly, good service and quality of the experience. We cannot sit on our laurels, we still have a long way to go and every day does not always go as planned, but as long as I am involved I will always try to right the wrongs and take the praise when we get it right, the Highlands and Islands has a great future in all aspects of hospitality! What do you feel the Highlands and Islands do best in regards to the visitor offering? No doubt, interaction with the guest is one of the top attributes. Good, well-prepared locally sourced food is another and great, iconic locations for some of our hotels, guest houses, and self-catering offerings. There a variety of activities in the region that are easy to get to in a day and that is another unique selling point of the Highlands and Islands. Are there any particular topics affecting our region’s tourism industry that you are most passionate about? Because of the seasonality of our industry in the Highlands and Islands, I have always been a great advocate for a moratorium on VAT throughout the close season, which would help to sustain what we made in the season. The development of an International Hotel School in the Highlands would help to raise awareness of what a great training ground we have here for the hospitality stars of the future. Apart from developing our own business thus creating more jobs, it is my hope that this accolade will help to raise the credo of my involvement with the charity that I am a supporter of, The Archie Foundation. What do you feel are the biggest challenges of running a tourism business in this region? High transport and fuel costs are a serious consideration. Another is staffing and finding particularly trained staff that have a passion for the job. The pitfalls of government legislation from employment law, health and safety and the rest (we all encounter it and as a business grows) so these things kick in on a regular basis and we incur more costs in dealing with it. Can you please tell us a little about the Cobbs Group? The holding company of the trading name Cobbs was born out of The Loch Ness Coffee Co. Ltd, a company I started with three others when we won the franchise for the catering for Historic Scotland at Urquhart Castle. We were then based at The Drumnadrochit Hotel. After we left there we opened a restaurant in the village of Drumnadrochit on the site of The Drum Farm where we inherited Shenna Lloyd, the baker. We named the new venture Cobbs after John Cobb who was tragically killed on September 29th 1952 on Loch Ness attempting the world water speed record. About a year after we took over we started selling our home baking as there seemed to be a demand for this type of product on a commercial scale and as they say, the rest is history! As a company we now have three hotels, one private members club in Edinburgh, 10 coffee shops and of course the bakery, which is the best form of advertising, marketing and PR we have. What better way to introduce yourself but with a large slice of Cobbs Carrot Cake? I rest my case! How does your typical day unfold? I usually have a very early start. If I am at home, the first stop is at our office in Drumnadrochit, at the rear of The Drumnadrochit Hotel. On many occasions however I am heading down the A9 to meetings with our distributors, Fife Creamery, or with our manager and director in Edinburgh who happens to be my son Daniel, (who has just made me a Grandfather with the birth of Max James Campbell), so my journeys south will definitely be increased. Every day there is a new challenge to tackle from human resources and manager meetings, to checking Trip Advisor, to tasting new product (good job! ), to looking at new sites, buying bric a brac for our coffee shops or checking what our suppliers are charging us – there is never a dull moment! I usually get home about 7 or 8pm.That’s the way it is but I wouldn’t change it for a 9 to 5 – No Thanks!!!!!!! We need to know this! What is your personal favourite from the Cobbs bakery? Ours is the Carrot Cake but what can’t you resist? I like all the products as one can see by looking at me, but our award winning Cranachan Cake is hard to beat with a nice glass of Prosecco of a Sunday with my good wife and fellow director Jackie who has to put up with all my idiosyncrasies. Check out http://www.cobbs.info/ to keep up to date with news from Fraser Campbell and the Cobbs Group. ← CHAMPIONS OF TOURISM ANNOUNCED!